Diet and lifestyle factors can help a great deal in boosting your immunity. The immune system plays an important role in preventing a number of illnesses and infections. Moreover, a strong immune system tends to decrease the duration and severity of infectious diseases. The immune system is responsible for fighting disease-causing micro-organisms like bacteria, viruses, and fungi. Thus, a healthy immune system provides protection against issues like common cold, flu, strep throat, and other ailments. Vitamin C acts as a natural immune booster. Thus, regularly eat lemons, oranges, blueberries, blackberries, strawberries, bell peppers, broccoli, and so on. These foods are rich in antioxidants that protect your cells from damage by free radicals. 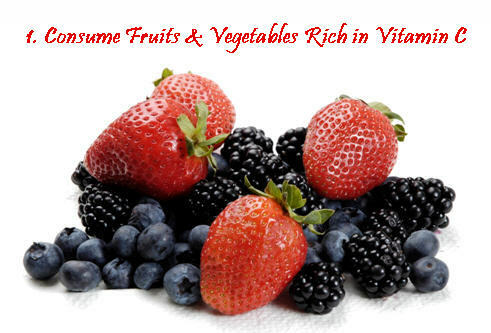 Furthermore, foods rich in vitamin C help fight obesity. Vitamin C usually works in conjunction with other micronutrients. So, you need to lay emphasis on other vitamins and minerals, too, such as vitamin A, B vitamins, zinc, selenium, and so on. Probiotics like lactobacillus and bifidobacterium are excellent for immunity. Probiotics are ‘good bacteria’ that boost the digestive health. After all, the digestive system contains almost 70% of the body’s immune cells. 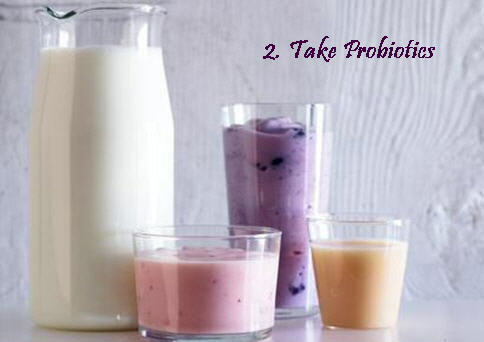 You can include probiotics in your diet by having yogurt, kefir, tempeh, miso soup, pickles, etc. It is essential to get a restful sleep for maintaining optimum heath as sleep deprivation depresses the immune function. In fact, recent studies indicate that lack of sleep is likely to make you more susceptible to cold and flu. Thus, a good sleeping pattern providing adequate sleep is useful for regulating and balancing the immune system. It is during sleep that the immune system releases protective cytokines and infection-fighting antibodies. Adults generally need about 6-8 hours of sleep. The sunshine vitamin, that is, vitamin D, tends to improve immunity, increase the number of white blood cells, and decrease the risk of infections. Plus, it stimulates circulation, soothes your nerves, and increases the production of serotonin and endorphins that make you feel better. 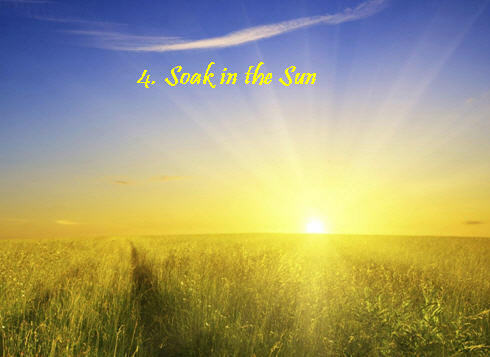 Thus, it is suggested to go outside and soak in the sun for about 20 minutes, daily. In addition, when out in the sun, you get to breathe fresh, clean air free of germs and irritants. Incorporate activities like jogging, bicycling, yoga, swimming, etc. in your routine, at least 30 minutes, a few times in a week in order to strengthen your immune system. 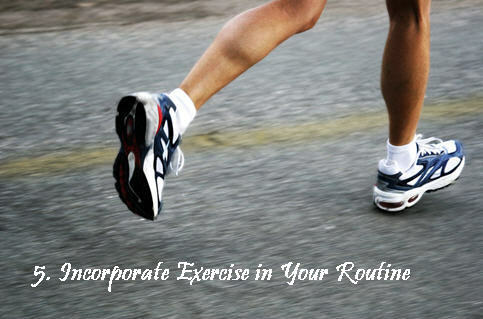 Regular exercising also prevents issues like osteoporosis, type-2 diabetes, heart disease, and so on. Apart from exercise, follow some relaxation techniques and mental exercises to relieve stress. Positive visualization, for instance, can improve immunity and brain function. Physical as well as mental stress is detrimental for health as it impairs immune function. Needless to say, drink sufficient water, too, because it helps eliminate toxins. 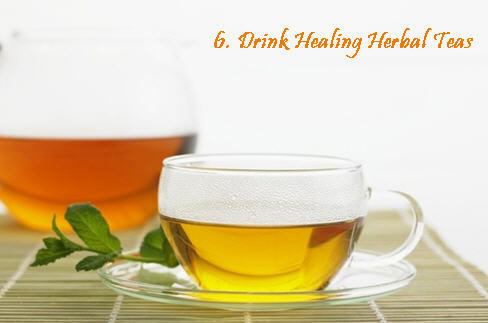 Consume herbal teas rich in antioxidants and immune-enhancing nutrients. Some of the most common herbs used for this purpose are Echinacea, goldenseal, licorice root, ginger, calendula, and so on. Astragalus is another immunostimulant herb that strengthens resistance and inhibits cancer. Before incorporating these herbs in your diet, though, it is recommended to consult with your doctor as they have some side effects. Plus, they may interfere with certain medications. In addition, raw and roasted cloves of garlic contain compounds that stimulate the immune system, lower blood pressure, and reduce the risk of heart disease. It is believed that garlic can help destroy tumor cells, too. In case you are bothered about the garlic smell then use mint, parsley, fennel seeds, etc. to mask the smell. 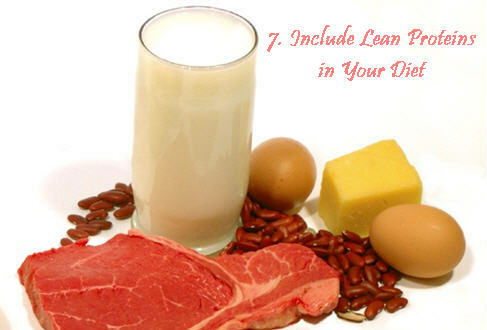 Lean proteins contain a non-essential amino acid called glutamine, which promotes healthy immune function. In addition, it is good for digestive health and helps repair tissues. Thus, you can have dairy products like milk, yogurt, cheese, cottage cheese, etc. Seafood and skinless poultry are also good sources of lean proteins and glutamine. Besides, vegetarians and vegans can opt for cabbage, beans, spinach, beets, kale, celery, soy products, and so on. Nuts, too, are good sources of proteins. Plus, make sure you take nutrient-rich foods rather than fast foods with empty calories.